Crimes of the Art is a weekly survey of artless criminals’ cultural misdeeds. Crimes are rated on a highly subjective scale from one “Scream” emoji — the equivalent of a vandal tagging the exterior of a local history museum in the remote part of the US — to five “Scream” emojis — the equivalent of the Isabella Stewart Gardner Museum heist. A large graffiti mural featuring the message “ALL COPS ARE BASTARDS” (aka ACAB) in large bubble letters appeared earlier this month on a wall overlooking the 101 Freeway in Los Angeles, but the Los Angeles Police Department only heard about it when a local CBS station asked how they felt about it. “It’s very offensive to me as a police officer,” said LAPD officer Jack Richter. Verdict: Graffiti artists and cops all played their roles admirably, if a little stiffly. A joint investigation by the State Hermitage Museum’s security force and Russia’s Federal Security Service resulted in the arrest of an employee of the museum’s research library who was suspected of cutting photographs, engravings, and historic illustrations out of books and selling them to antiquarian book dealers throughout St. Petersburg. Verdict: Embarrassing, but not entirely surprising, because Russia. Verdict: Inconvenience to the artist far outweighed by damage done to public trust. Have You Seen This Not-Guardi? 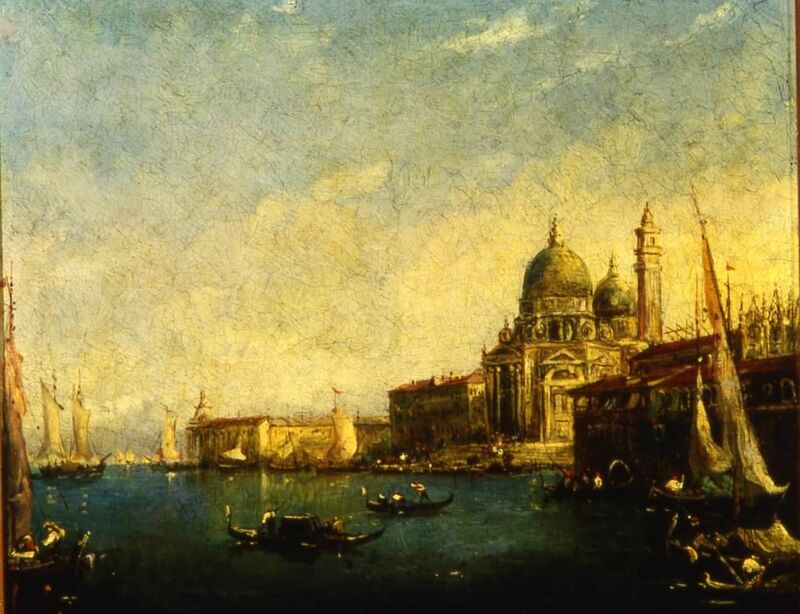 The Toronto Police Service (TPS) betrayed its lack of art historical training recently when, following the theft of a painting in the style of Venetian master Francesco Guardi from a private dining room at the University of Toronto’s Trinity College, it identified the work as an authentic Guardi. The gaffe has yet to be rectified, as the TPS website still lists the purloined painting as a Gaudi original. Verdict: Misattribution of missing art adds insult to injury. On February 16, Presidents’ Day, Dean Arthur Avey allegedly kicked open the fence surrounding the historic Mary Aaron Museum in Marysville, California, and began kicking the institution’s front door, causing it to split. He is being held in Yuba County Jail, with bail set at $25,000, on suspicion of attempted robbery and vandalism. Verdict: Such poor citizenship looks especially bad on Presidents’ Day. The chill of serial vandalism has descended on the fifth annual Ice Art Festival in Northampton, Massachusetts, where a sculpture of a mermaid by Tim de Christopher has been smashed and another by Matt Evald Johnson was damaged. 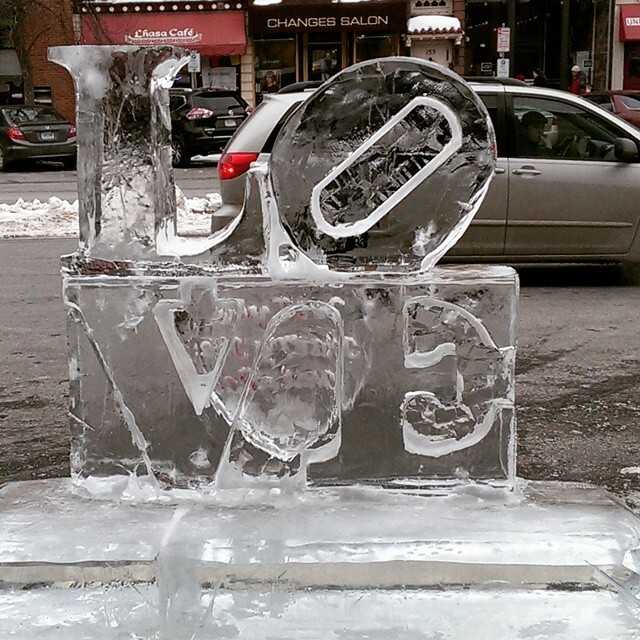 Others, like a piece riffing on Robert Indiana’s iconic “LOVE” sculpture, remain unscathed, though that ruthless vandal known as spring may yet prove their undoing. 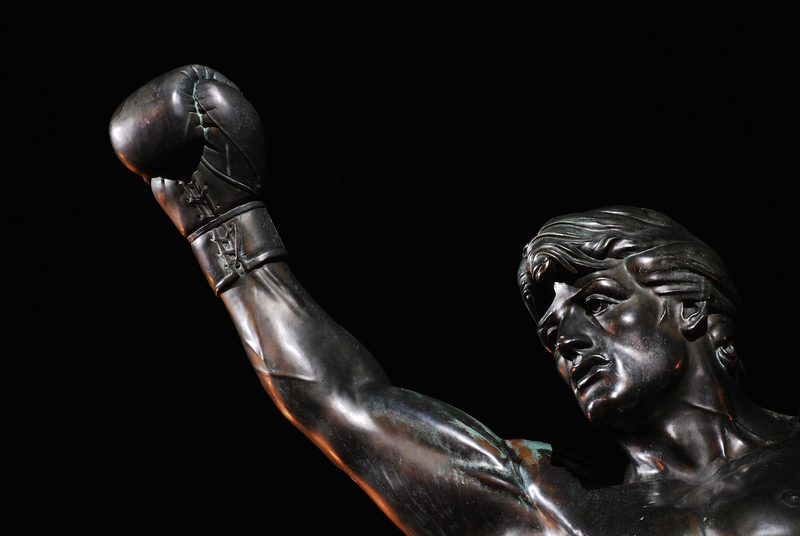 Verdict: Ice sculpture smashing is the cow-tipping of art vandalism — too easy and played out. A woman was asked to leave the Canterbury Museum in Christchurch, New Zealand, after she attempted (and failed) to deface a shirt from the British heavy metal band Cradle of Filth with black spray paint. The object, which features a potentially sacrilegious image of a nun on its front and a vulgar text describing Jesus on its back, is part of the exhibition T-shirts Unfolding, a historic survey of artful T-shirts. Verdict: A museum devoting space to an exhibition of T-shirts is more offensive than any T-shirt we’ve ever seen. Though police and security were nowhere to be found, CBS Philly was on the scene during a recent snowstorm as grownup boys rode all terrain vehicles (ATVs) up and down the so-called “Rocky Steps” at the Philadelphia Museum of Art, an exercise popularized by Sylvester Stallone in the 1976 boxing drama Rocky. Verdict: These ski-goggled trespassers are knockout dumb. Jonathan Adams has been charged with robbing the James E. Campbell Gem, Mineral & Fossil Show at the New York State Museum in Albany after a vendor at the Valentines Day weekend event nabbed him and his girlfriend Kirsten Dwyer trying to swipe stones from a booth. Adams was booked into Albany County Jail after he was apprehended with gemstones reported missing from the museum, while Dwyer was charged with criminal possession of controlled substances — Xanax and methadone — and released. Verdict: Major points for coming up with an original Valentines Day date, but don’t steal stones while stoned.